Today's post will be a new song I just finished last week. It is a song I wrote to help teach the concept of a rhyme. The song's lyrics encourage students to "listen with their ears" for words that sound alike. It explains the concept of a rhyme with the lyrics: "When words sound alike, we say they rhyme." I made visuals to go along with each word family mentioned in the Rhyme song so students can see each word that rhymes with a matching picture. I'm anxiously awaiting putting this song into use as well! 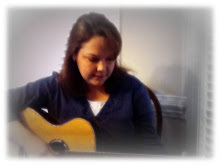 As a music therapist, I always try to stay current with music that is popular each year. I have found that some music therapists do this more than others. Depending on which population(s) music therapists are employed to work with, they may or may not need to dwell in modern or popular music. Songs from the 1920s and 30s might be their focus, or children's songs, or even instrumental music for relaxation and reflection might be more in demand with their clients. Nevertheless, I like to have a general idea what's going on in modern/popular music and many times, I find the ideas motivating to me in terms of song writing. Lately, I've been loving this tune by Andy Grammer. It's called, "Keep Your Head Up". I'll admit, it's an upbeat song that is good for my "self Music Therapy" when it's been a long day or I feel like I still have a lot to accomplish on any given day. Aside from that, I had this song stuck in my head for days and was inspired by it so much, that I adapted the lyrics and the tune a bit for one of the topics I was trying to write a song about: the 5 themes of geography. So, I wanted to share that particular song today. *This song is intended for educational use only!